Home » » Adam W.
Julie Walter, OD, says that she was tired of missing out on her children’s activities and not spending Saturdays with her family after a decade of working as an employee in a corporate optometry setting. We had a wonderful celebration! Click below for the BIG picture! 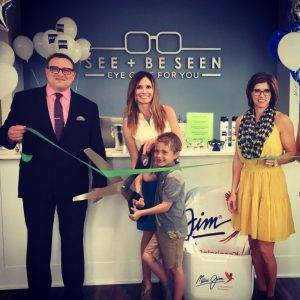 SEE + BE SEEN - Located at 9973 S. 168th Ave., Omaha, Nebraska, 68136. Phone: (402) 505-9006.